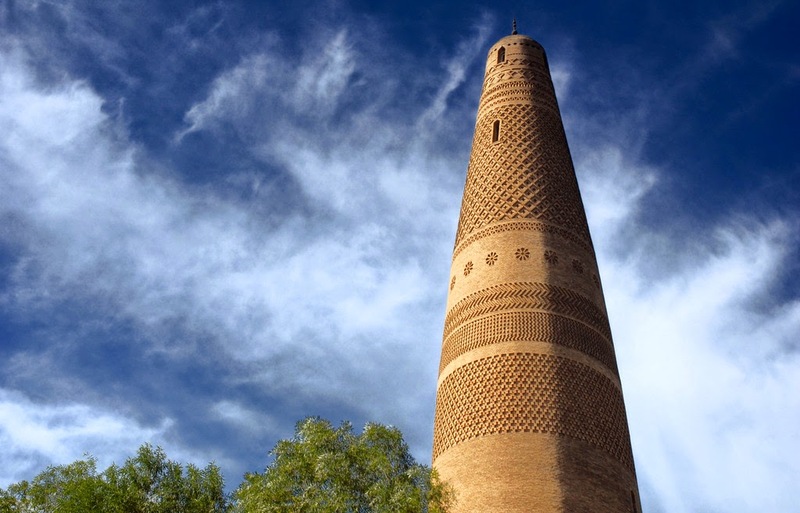 Su Gong Tower is also known as Emin Minaret. It is the largest existing ancient tower located in Xijiang of China. It is one and only one Islamic tower existing among several hundred of well known towers in land of China. It is situated neatly two kilometres from eastern part of Turpan. 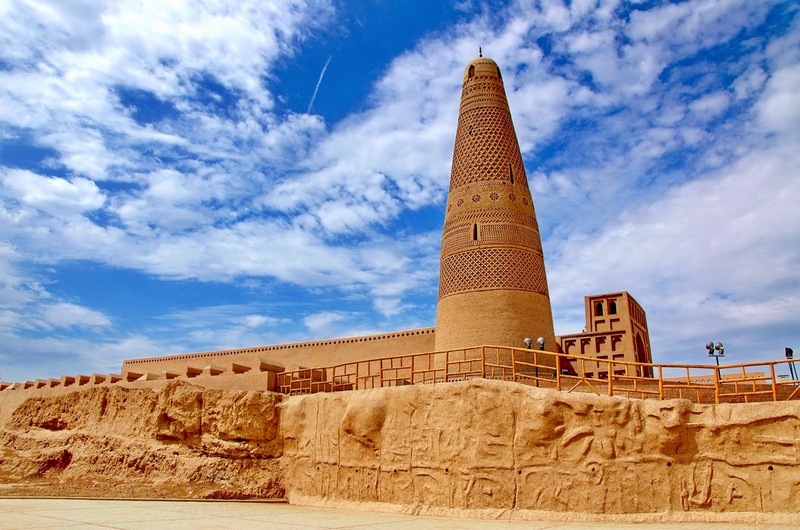 It was constructed in 1777 specifically to honor the great general of Turpan, Emin Khoja. Emin was an extraordinary nationalist who protected the fusion of China in his entire life. The eldest of his eighth sons, died of illness at infancy. Being much influenced, all other sons became great contributors in times of war against the Jungar rebellions. This tower was constructed by the second son of Emin Khoja with own money. His name was Suleman. For this reason, this tower has got the name Su Gong Ta or SU Gong Tower. When Emin died, the second son inherited the rank of father and became the nest ruler of Turpan. At the opening area of Su Gong Tower, he set up two steles. Over one, there is an inscription written in Chinese. It particularly explains the objective of constructing the Su Gong Tower that it was to express the gratitude towards Qing dynasty and also to honor the exploits of his father. The inscription in Uigur language on the second stele was to express gratitude towards Allah. The past background this tower possesses if being underlined perfectly by the architectural importance. This tower is nearly forty four meters in terms of height. There are two stories behind this tower. The base of tower has diameter of ten meters. From base, it tapers into the Islamic dome. In middle, there is a pillar which is brick-piled with seventy two steps around and it spirals to highest point. In total, the tower has fourteen openings for lighting as well as ventilation. The lightings are placed in various directions and at different heights. On top, there is one attic that has area of ten square meters. Here, there are big windows in all sides via which one can view the beautiful landscape. It really unfortunate that visitors coming now are not permitted to climb to top because of certain protection reasons. This lack is perfectly made up by the distinct exterior of Su Gong Tower. The large column which is made of earth and grey bricks appear bit dull but offers best decorative patterns across the globe. The Uigur architects have made use of bricks to create various patterns like rhombuses, waves and flowers. These architects have even given consideration to surroundings. It is well set against the shiny Tianshan Mountain, blue sky and red Flaming Mountain. This tower showcases a perfect building. 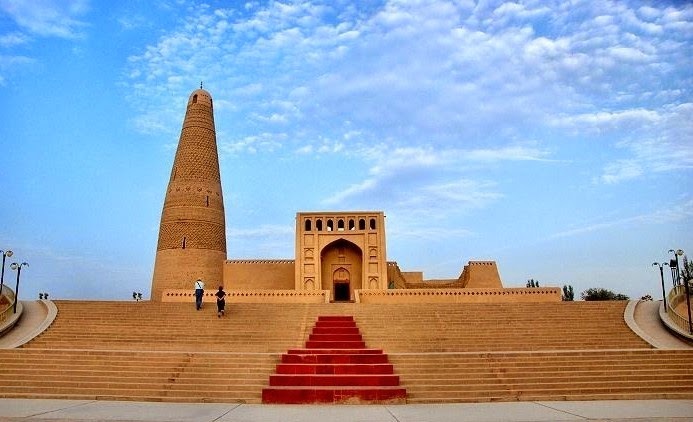 Near to Su Gong Tower, there is a Su Gong Ta Mosque which is a very large mosque located in Xinjiang of China. This mosque has capacity to accommodate thousand people regardless of the unremarkable appearance. The fee for admission is just fifty Yuan. It is open from 8.50 am to 8.00 pm. The suggested time for visit is two hours. Visit the only existing Islamic Tower in Xijiang!